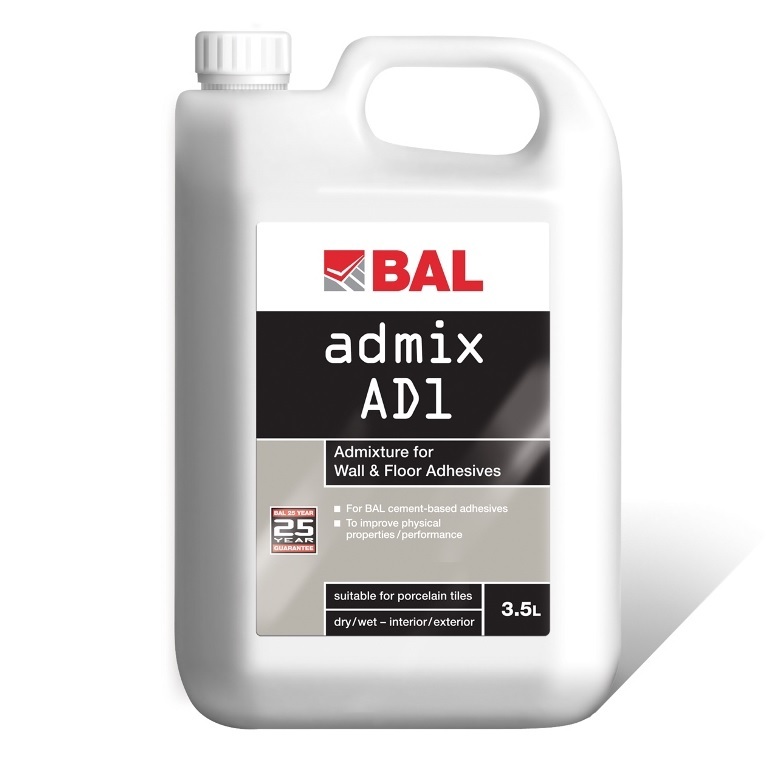 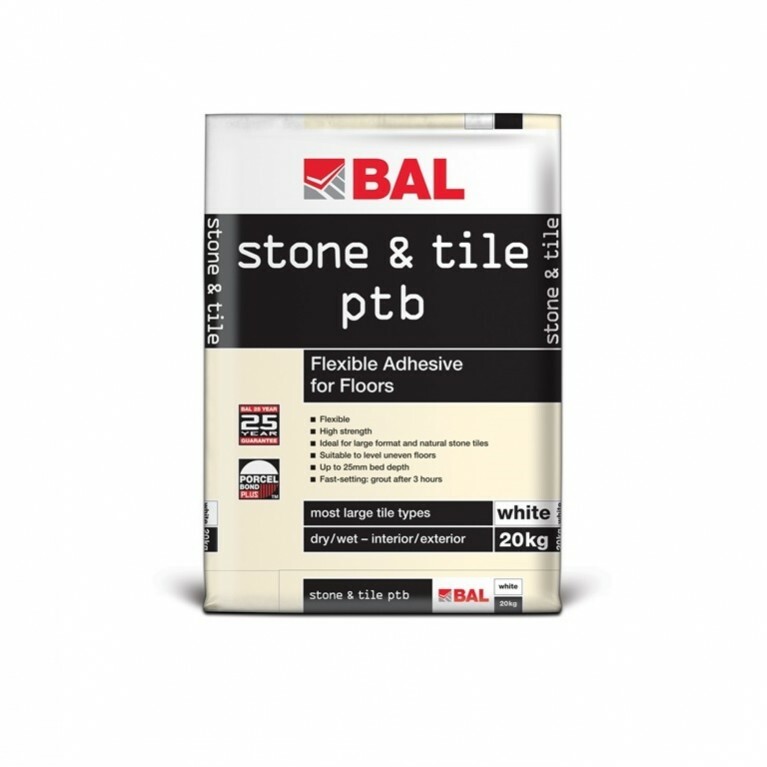 A water-based polymer additive for cementitious walls and floor adhesives, BAL Admix AD1 improves adhesion and flexibility, enhancing physical properties and performance. 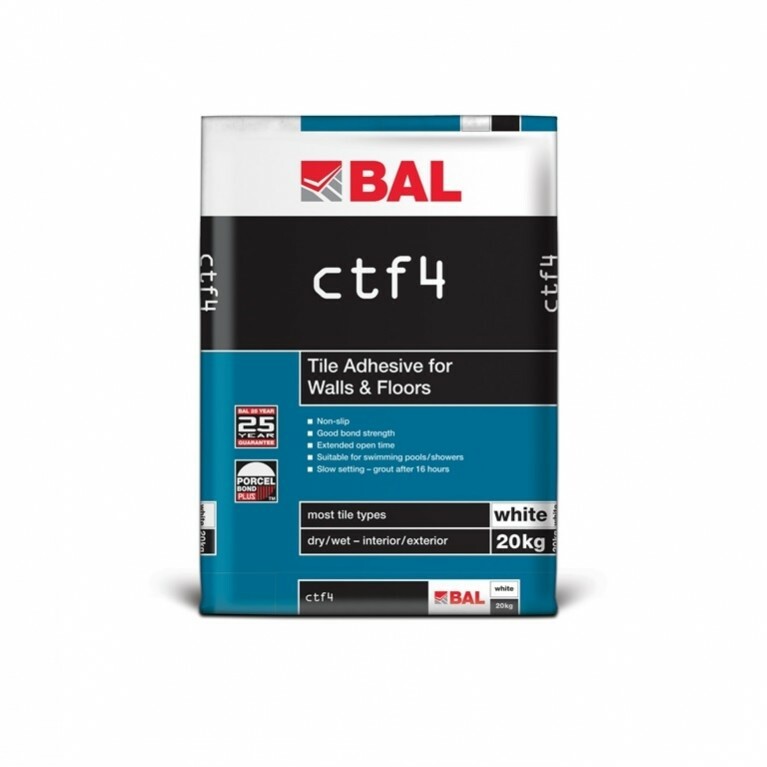 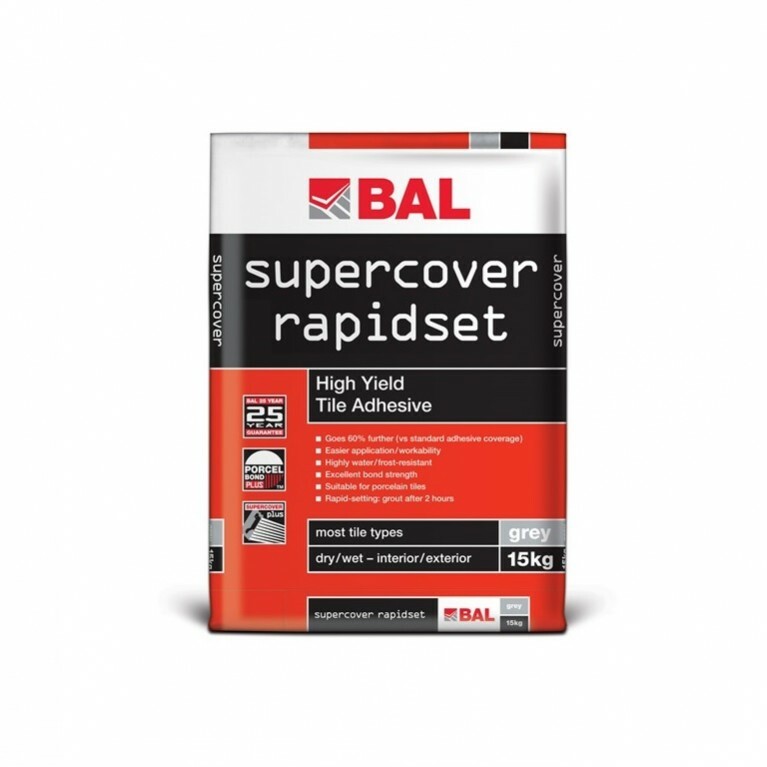 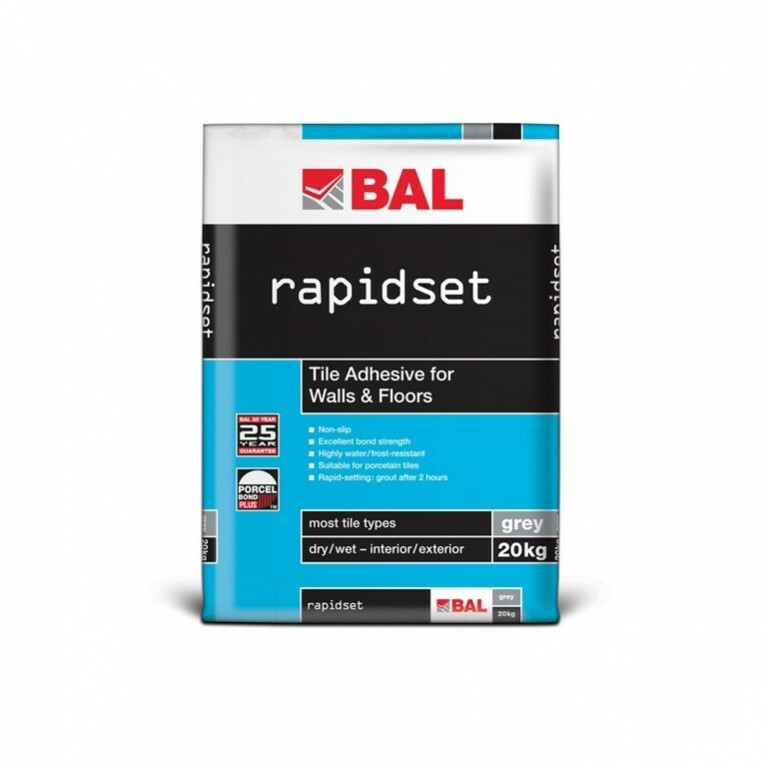 Suitable for use with BAL CTF4, BAL Rapidset and BAL Supercover Rapidset. 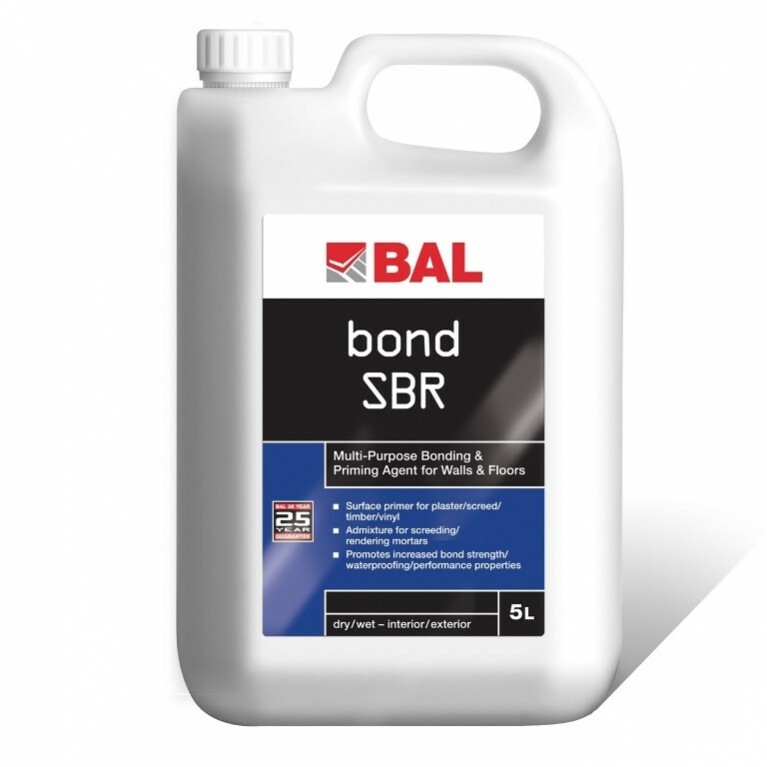 Not suitable for use with highly polymer-modified cementitious adhesives and ready-mixed products.